In 2015 hoverboards hit the market with a bang. 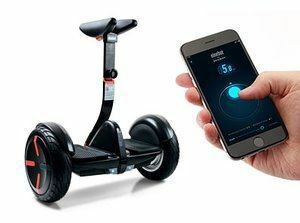 These two wheeled self balancing scooters became THE hot product of the year, and although they hit a few blips along the way (inferior quality models with cheap batteries caused some fire problems in the early days), they have only gone from strength to strength since then. In 2016 Underwriter Laboratories introduced the UL 2272 hoverboard certification, so hoverboards are now safer and higher quality than ever. In 2019 technology has advanced to the stage where we now have all terrain hoverboards that can travel over grass, sand, gravel and more (the traditional hoverboards that first came on the market were only suitable for smooth pavement). In this article I’m going to be discussing which is the best off road hoverboard available today. What is an off road hoverboard? This Halo Rover is a sleek and futuristic looking hoverboard that will make your friends wish they had one too. It can handle nearly any terrain with its all terrain tires and comes complete with super solid wheels and lots of fun features. All in all, this much-anticipated hoverboard will not disappoint and is suitable for age 8 to adult. This Halo Rover is durable and strong to navigate snow, mud, grass or sand. With its 8.5inch rugged tires, there is almost nowhere this beast can’t go. It moves over cracks and bumps with ease. This hoverboard comes equipped with many fun options as well, such as Bluetooth connection which allows you to play music out of the board itself! It also connects to an app for your mobile device that has many cool features - it tells you things like speed, power, temperature, mileage etc. The Halo Rover is a great choice and is our #1 choice of all terrain hoverboard for 2018. It is durable and strong, can navigate well on many different terrains, has a wide and comfortable foot bed and has 3 modes of travel so that you can ease into the machine. Although a bit more expensive than other models, this board is well worth every penny. Don't forget to use our the best discount code ORDER50 to save $50! Instead of just promising that it will be a solid competitor in the off road hoverboard category, this board actually delivers. Its weight, sturdier appearance and larger, hard rubber wheels demonstrate that. With noted reliable customer service, you can feel confident that you will have the support that you need when you need it. There is one big difference between this board and the others though - unfortunately the Epikgo doesn't come with bluetooth. A heavier body and tougher design make this off road hoverboard ready for almost any terrain or element. Rather than utilizing electric motors in the wheels, more powerful brushless motors are lodged inside the main body. This keeps costs lower and allows room for a more rugged design. 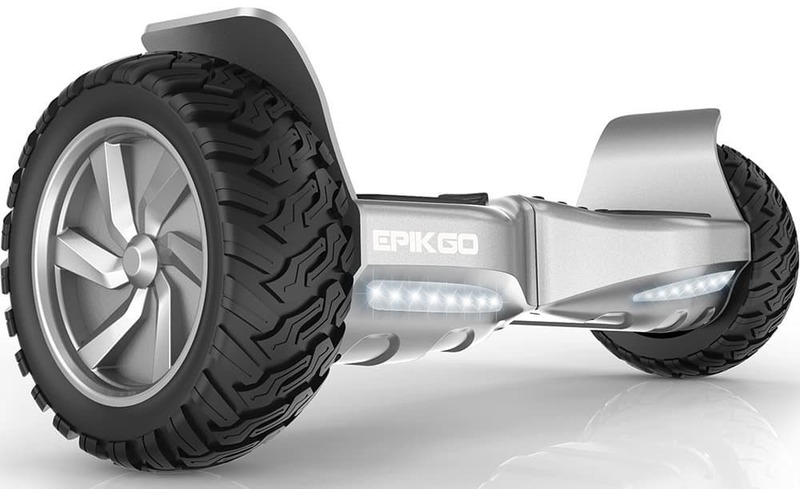 The Epikgo hoverboard also comes equipped with both front and rear LED lights for extra visibility in the dark. Another very important feature of the Epikgo is its noted battery life, which is longer than some other hoverboards on the market today. 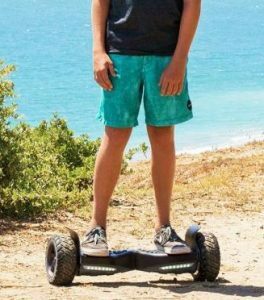 It weighs a few pounds less than some of the other similar all terrain boards we've listed so might be a better option for kids. Although it is a fast and very durable board, the Epikgo seems a bit less flexible and unable to navigate around tighter corners as well as its other, more compact rivals. Another minor drawback for some could be that you ride higher up so your center of gravity is shifted a bit, making balance a little trickier, but not impossible by any means. Unlike the others we've listed, the Epikgo Classic does NOT have bluetooth capability. This is a high-quality hoverboard with dependable parts and a solid design. 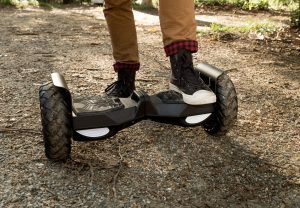 It is a perfect board for those who want to use their hoverboard on dirt, grass or gravel. Highly recommended for people who want a more substantial board that can maneuver well and has excellent handling. The Epikgo gets high marks for so many reasons; from the powerful multi-speed motor ensuring a smooth and dependable ride, to its UL 2271 certified, fast charging battery, guaranteeing safety and reliability. The Epikgo is most suited to someone looking for a slightly lighter off road hoverboard (this is lighter than the others) and isn’t bothered by the lack of bluetooth. 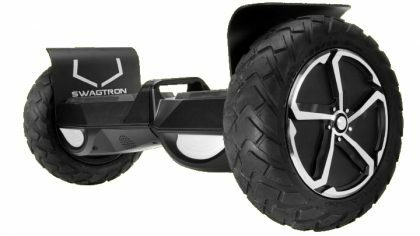 The Swagtron Swagboard Outlaw T6 offroad is an all terrain self-balancing hoverboard that boasts features that make it stand out from the average standard size hoverboard. First of all its got 10 inch wheels and is powered by dual 350-watt motors which make it bigger and stronger than most on the market (and yet still suitable for all ages from 8 to adult). Its major selling point though is that it has a max weight capacity of 380lbs, higher than ANY other hoverboard on the market, making it the only hoverboard suitable for anyone over 270lbs.The Swagboard Outlaw T6 offroad hoverboard has an excellent build quality, and also comes with three different riding modes of varying difficulty to help you ease into the swing of riding and controlling this machine. The 350W dual motors present in each of the tire welds give this hoverboard the power that it needs to navigate most terrains, from grass to pavement. It comes compatible with an app you can download to your mobile device so that you can control the board’s 3 modes, learning, standard and pro mode. 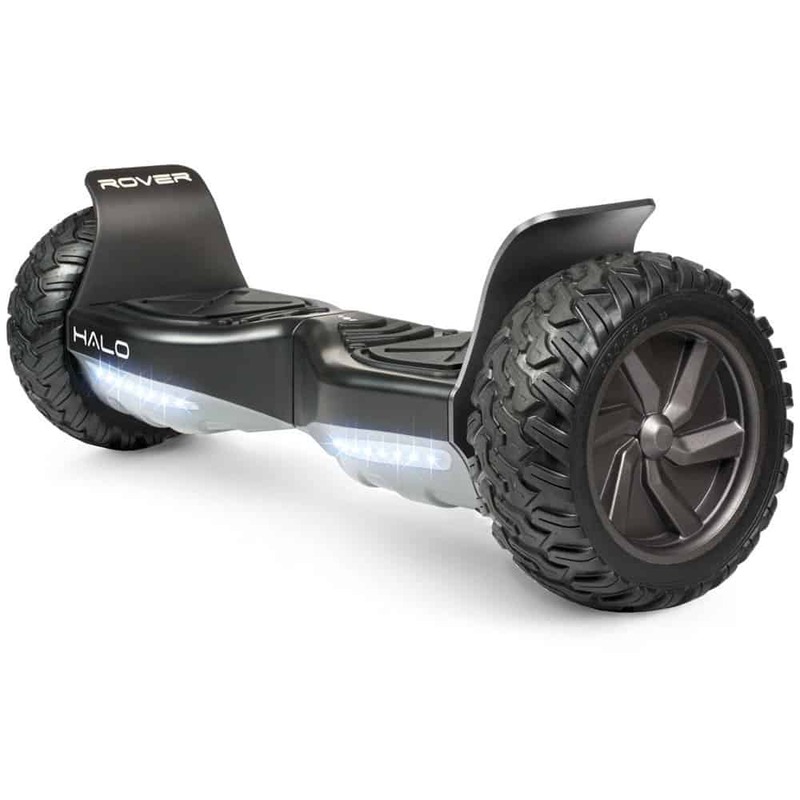 It's one of the more affordable off road hoverboard available at the moment! Controlling this board also tends to be a bit more difficult, but you’ll get the hang of it quickly. The Swagtron T6 is a solid hoverboard from a well established US brand, capable of handling many different terrains with ease. It accommodates a range of heights and weights and has different modes to use while you are learning. With its gyroscope technology and sensors, the Swagtron T6 is very responsive to a range of real-time movements and does a great job of predicting and sensing so that you can stay safe. It is attractive and solid in design. All in all, you can feel confident when you buy this product that you will have a reliable hoverboard. The user reviews on Amazon are worth checking out if you want to know more. This is one of the more affordable hoverboards on this list and so is worth checking out just for the price. If you’re looking for a hoverboard that carries over 270lbs, this is the ONLY one on the market fit for purpose. Technically a smaller version of the original Segway, this personal transporter is clearly a different machine from other hoverboards. It could be argued that mini PRO isn’t an offroading hoverboard at all, with its variable height steering column and reduced size knee bars for extra control and precision steering. Some might consider it a very expensive machine, as it was released with a retail price of over $1000, but today it is much more affordable as the price is now reduced to be in line with other off road hoverboards. Whether you’re looking for some high end fun, or you want a personal transporter for commuting short distances then look no further. This could be the machine for you, and like the others mentioned it is UL2272 certified. The platform, being much wider and higher off the ground than other hoverboards, is easy to step on and acclimate to once you have both feet planted. It is self-balancing and will do so as soon as you step on the machine. The knee bar works very well for steering and makes you feel like you have almost complete control. The miniPRO is sleek, quiet and very responsive to your body movements. When you lean back, the miniPRO immediately senses this and slows down, a feature that other hoverboards have. Another cool feature is the remote control capability that this product has. The miniPRO can be driven around completely with this feature, which can be both useful and fun. The miniPRO has a very impressive mobile app which tells how fast you are going, battery status, location, direction, and temperature. Another feature is the parking brake, which stops all functions when it is engaged and beeps if someone tried to move it. This is a very good safety feature and can come in handy when stopping on hills or other inclines. The miniPRO is heavy and not so easy to carry around with its big 10.5 inch tires. The knee bar can be removed though to make it easier to transport in the trunk of your car. A rather disconcerting issue with it is its inner computer sensing your movements inaccurately. It has been reported that the miniPRO might sense that you are off balance when you are riding down a hill at a faster speed than when on a flat surface and will immediately slow down, leaving the rider almost pitching over the knee bar. The Segway miniPRO is a new, less expensive twist on the original Segway, which was a revelutionary piece of technology when it was first unveiled. The miniPRO has many fun features, and boasts an impressive tire size and handling capability. It is definitely not a hoverboard, but it can be just as fun to ride. In fact in many ways it’s better than a hoverboard, and is more suited to commuting. It has 14 mile range which means it travels further than each of the other boards (one a single charge). Final Verdict: Which Self Balancing Scooter Should You Choose? As you’ll probably have noticed, early every best off road hoverboard 2019 (other than the Segway Minipro, which is more of a “mini segway” than a hoverboard) is quite similar. Not only do they look the same (other than having different branding) but their specs and capability are similar too. For that reason, it’s difficult to choose one that we could say is better overall. All have pretty good reviews – better than those for traditional hoverboards because as I’m sure you can see, off-road hoverboards have many more functions and can be ridden on many different terrains. Things like speed, max load etc. can vary so you might want to look at some of those variables. Also a big difference between the more expensive off road hoverboards and the cheaper models is that they have air filled tires (as opposed to solid rubber) which makes for a more comfortable, smoother and safer ride. Based on popularity, ease of movement, and highest number of positive user reviews we’re naming the Halo Rover as our top choice, but depending on your budget, you may just want to choose whichever is most suitable for your budget. If you’re looking for something a bit different, or a transporter for commuting short distances then the Segway Minipro might be a better choice. What makes the Halo Rover great? The bluetooth Halo Rover navigates well on all sorts of terrain and in all types of weather and switches easily between on and off-road. It’s extremely hefty trodden tires make it a high performer no matter where it is being ridden. This hoverboard with bluetooth speakers is UL certified, handles quick changes in direction well and moves like it should be much more compact than it is, moving around objects more easily than some of its competitors. It can hit top speeds of up to 10mph. The platform is solid and comes with rubber bumpers for added protection. It is also made of very durable materials which the company claims to be “virtually indestructible”. This is all very helpful when traversing different landscapes where you don’t know what obstacles you might encounter! All in all, if you are going to head out and purchase a new hoverboard today, the Halo Rover is definitely worth the investment. It is a solid and fierce competitor in its class and handles incredibly well in all types of situations. Whether taking it out for a morning spin, riding it to work, heading out for an off-road adventure or just spinning around in the parking lot and maneuvering through obstacle courses with friends, Halo Rover, is definitely a worthy choice. Now get out there, pick a board and ride! Most of the above hoverboards can be found on Amazon. Some (like the Halo Rover and Swagtron T6 offroad) also have their own websites – just click on any of the links in this article to buy or find out more.